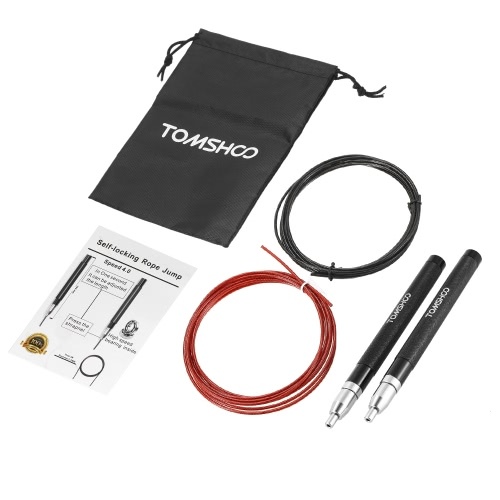 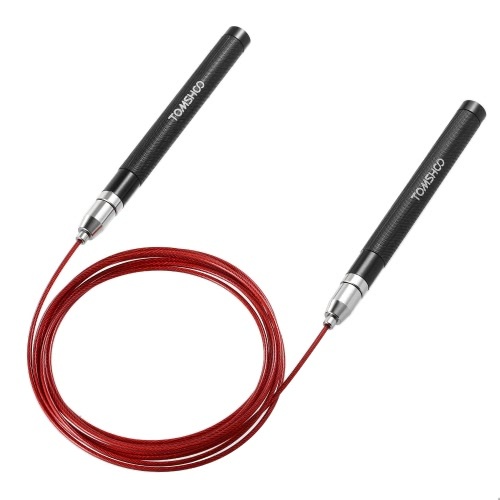 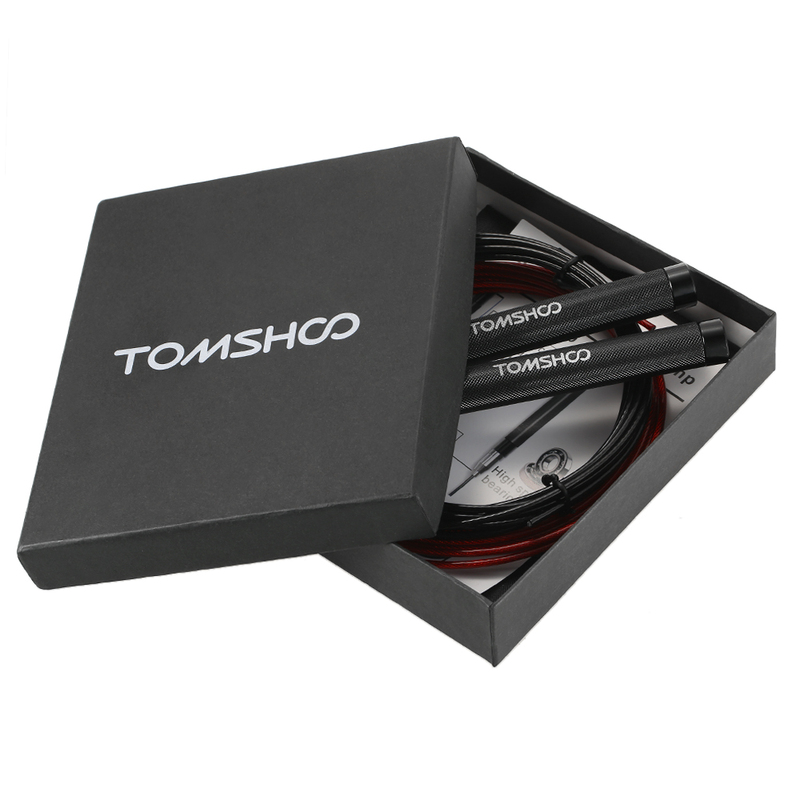 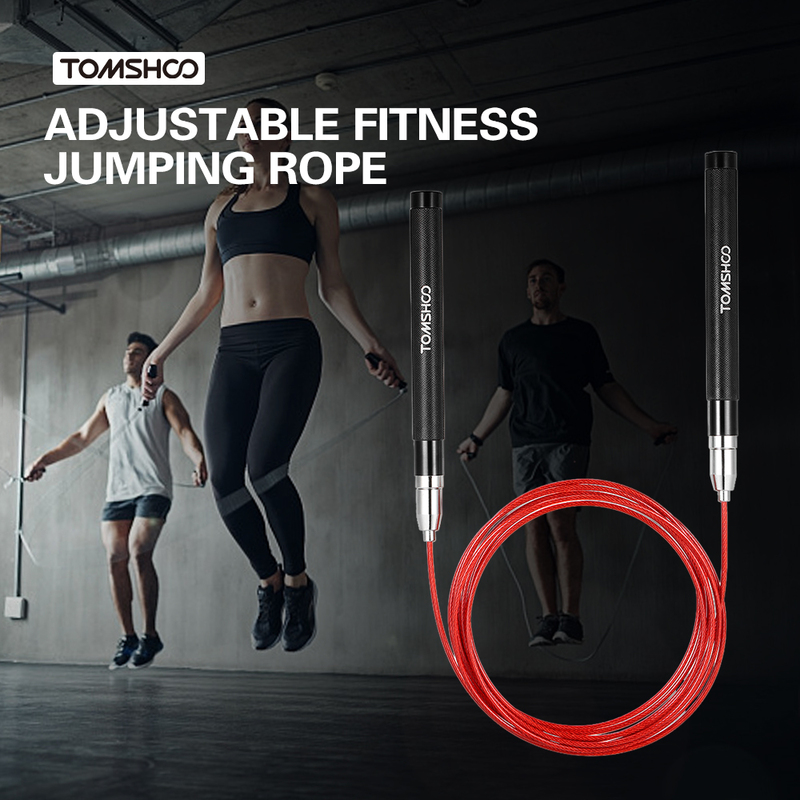 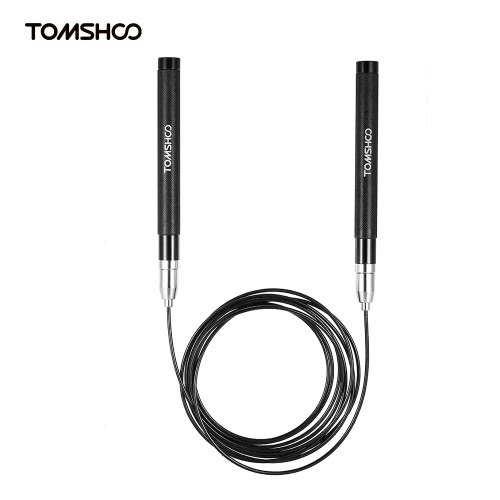 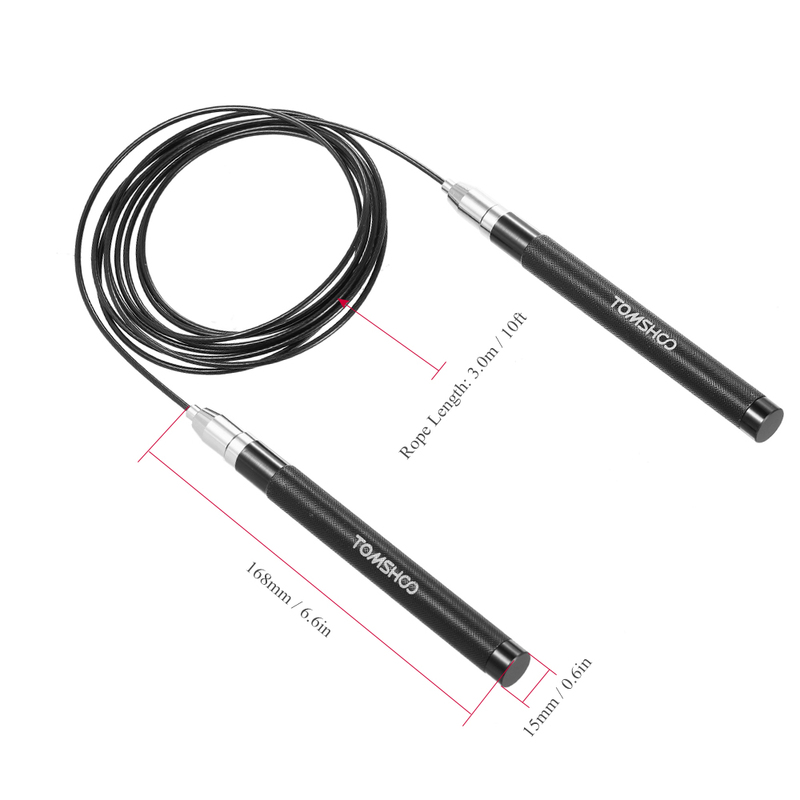 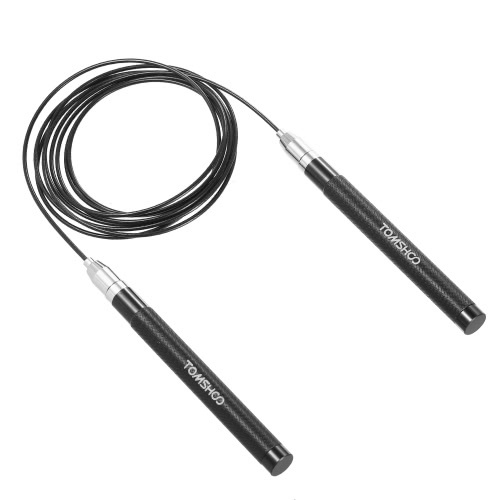 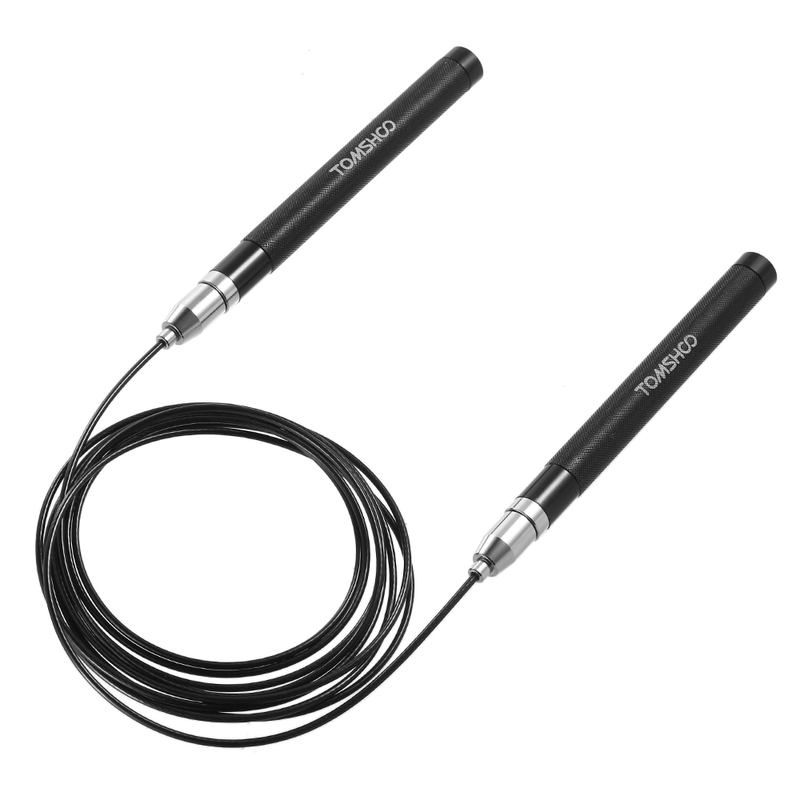 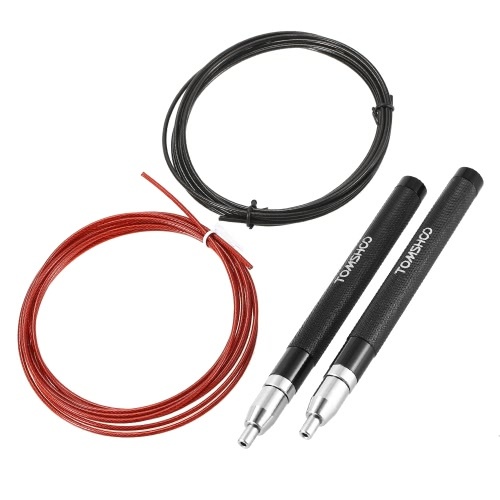 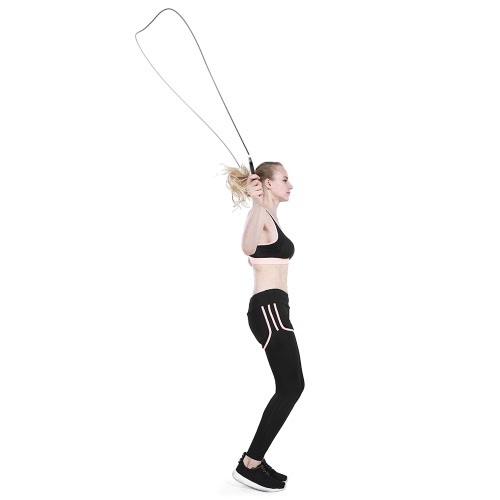 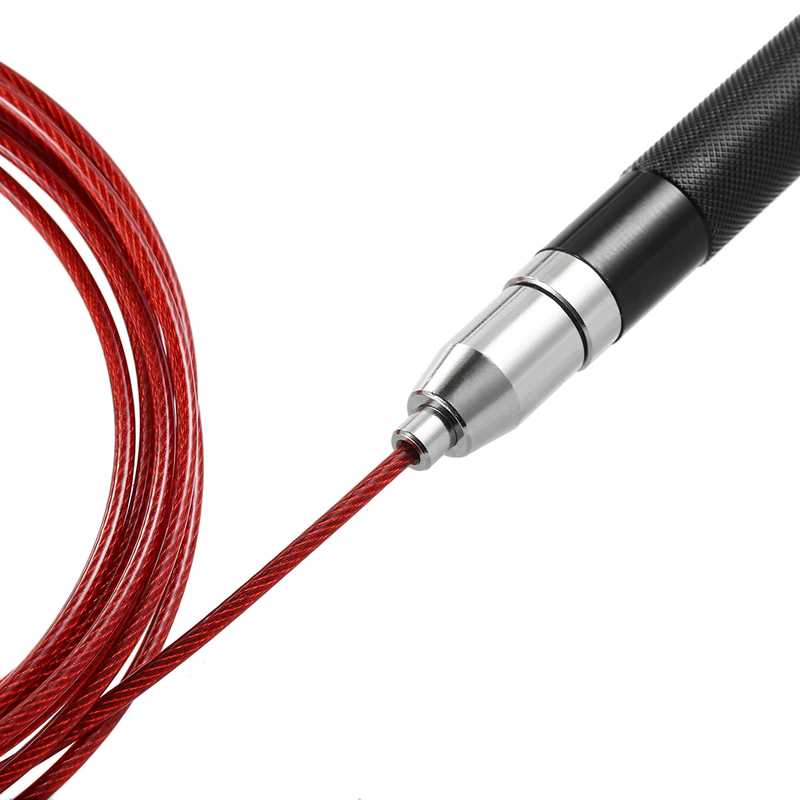 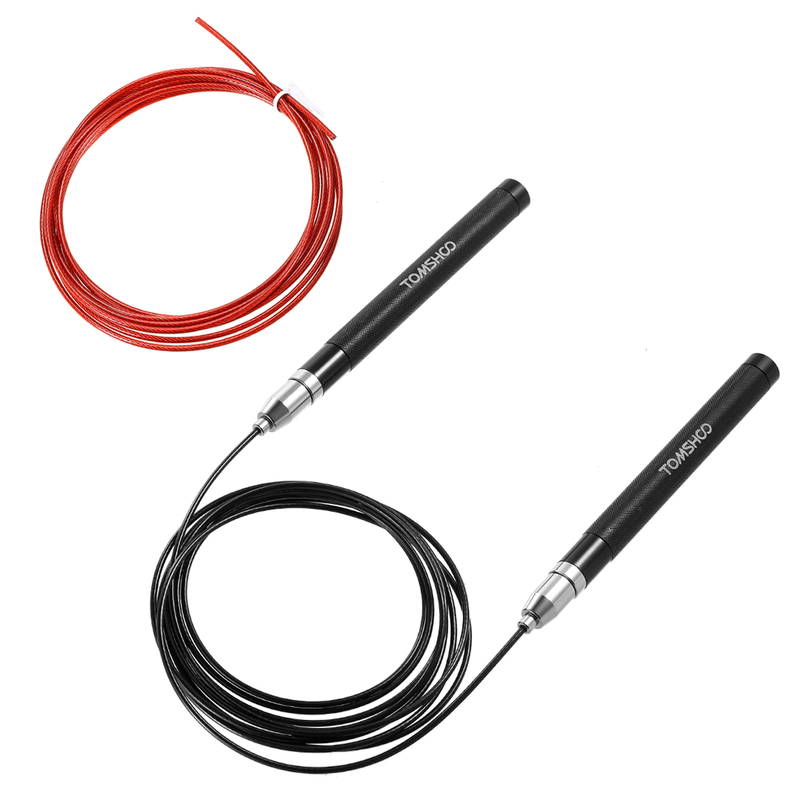 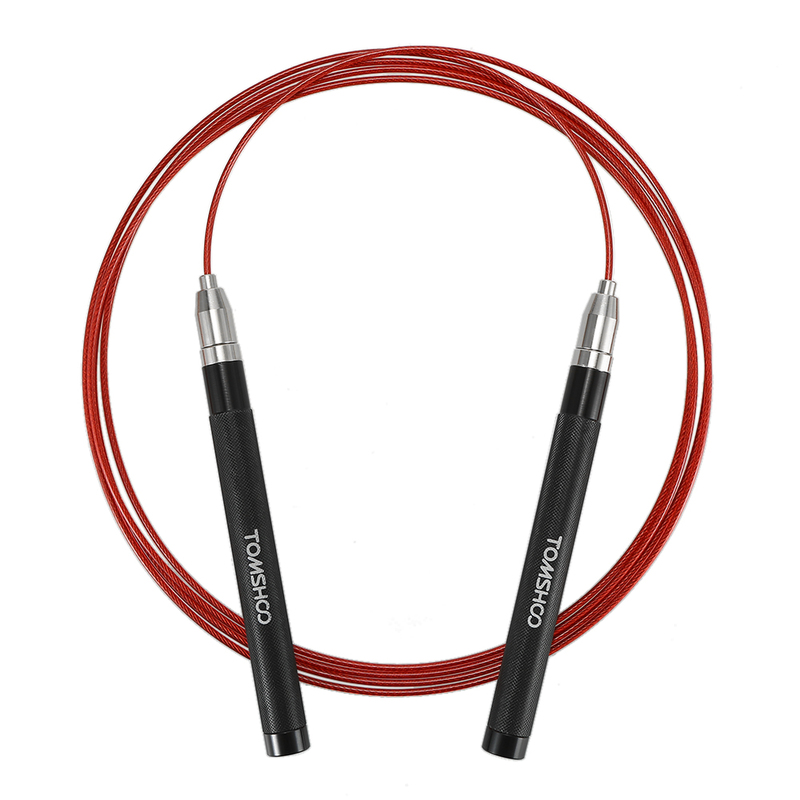 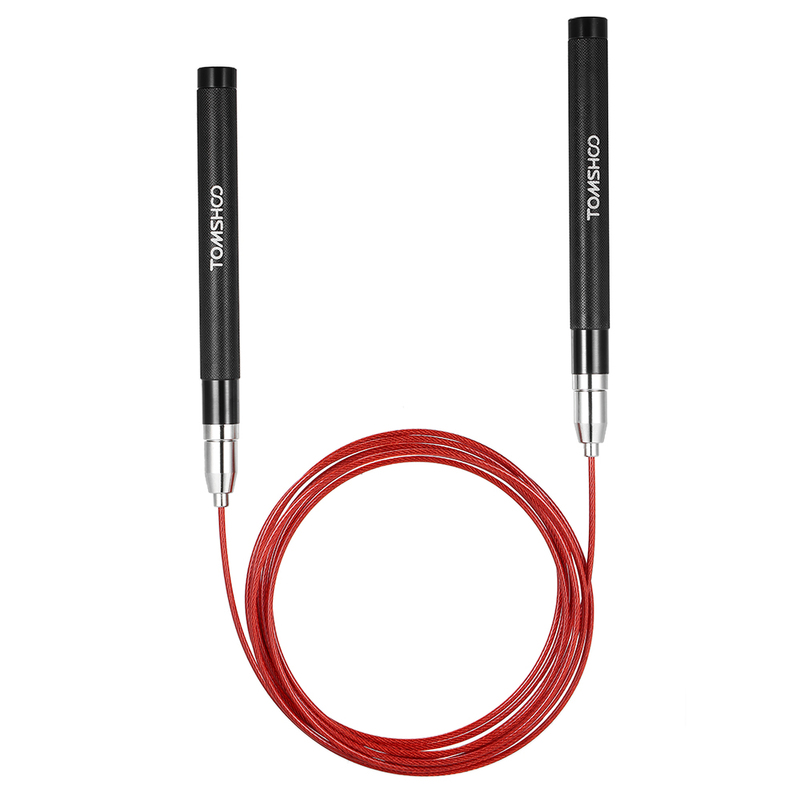 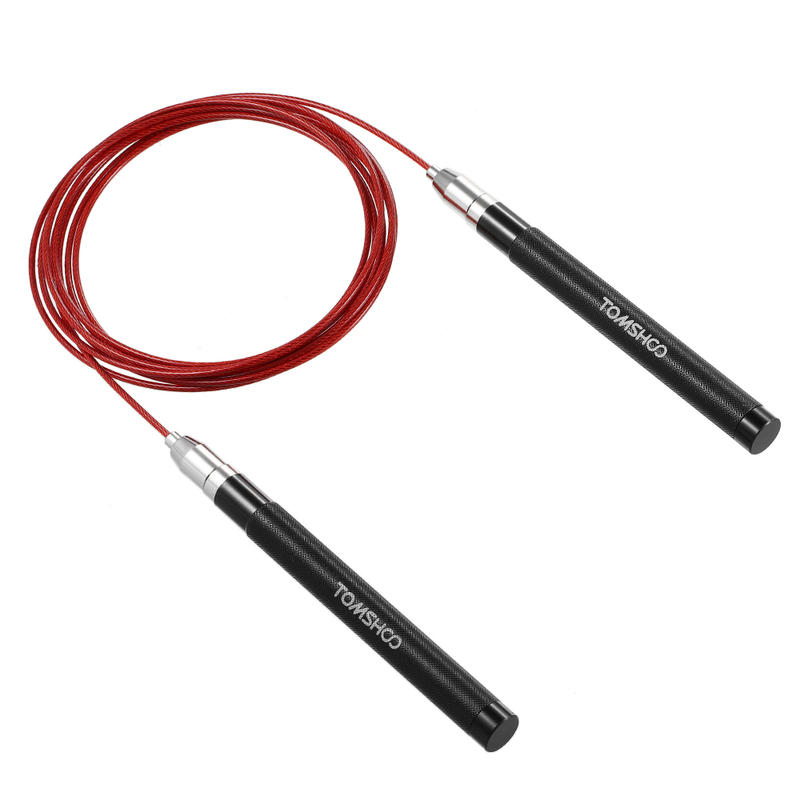 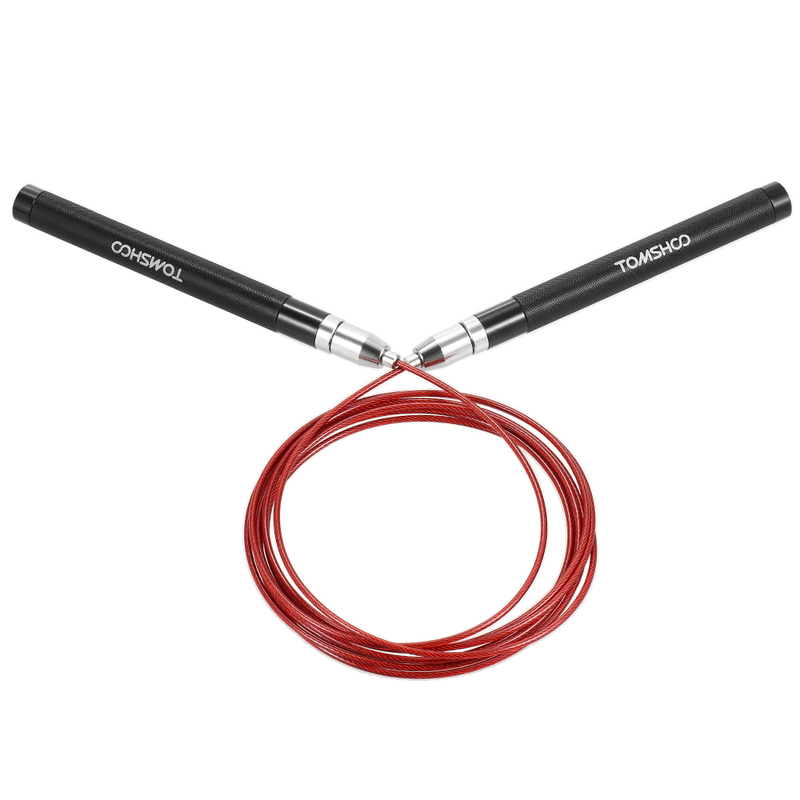 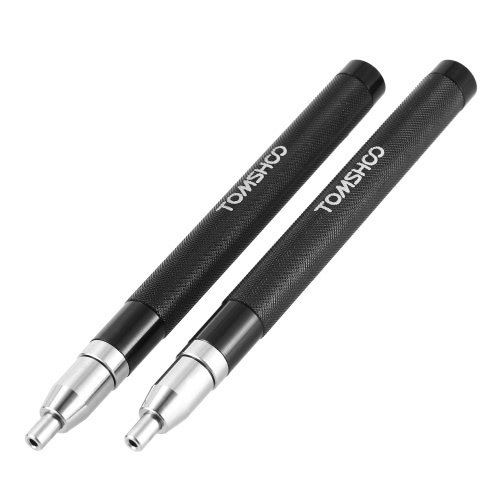 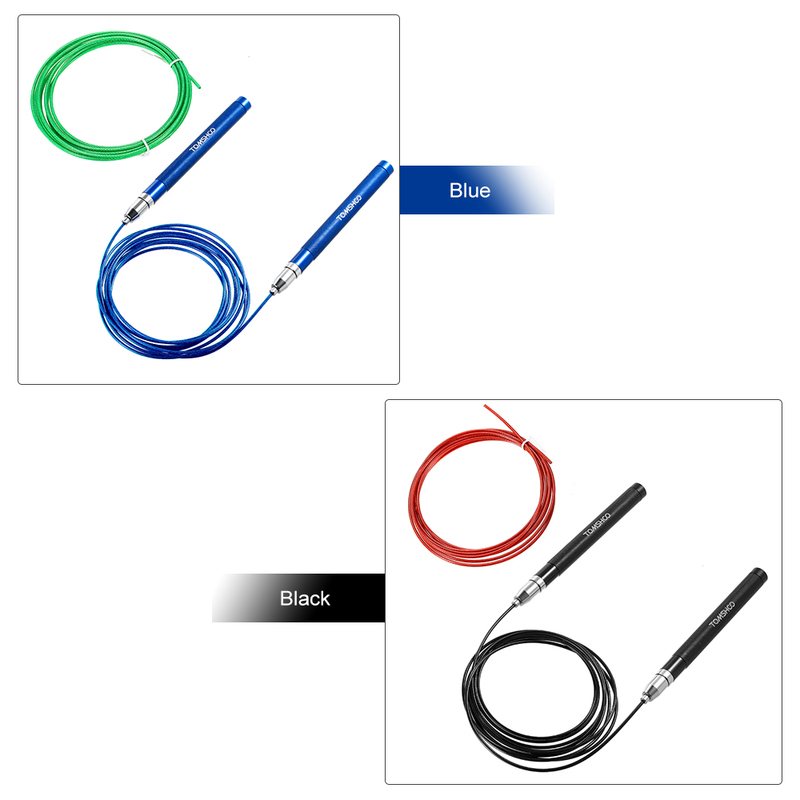 TOMSHOO Jump Rope is made from premium steel wire with PVC sleeve, which is durable and lightweight. 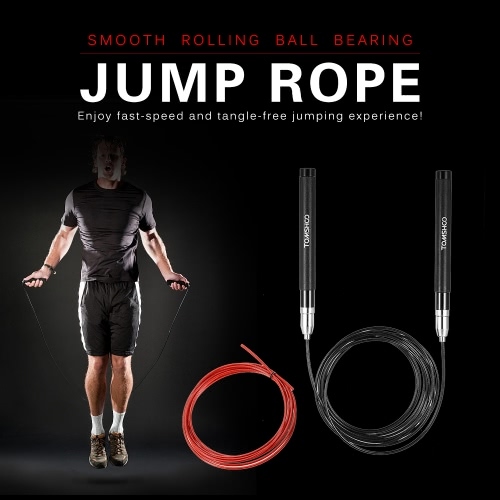 The rope measures 10 feet long and it is easily adjustable to your desired length. 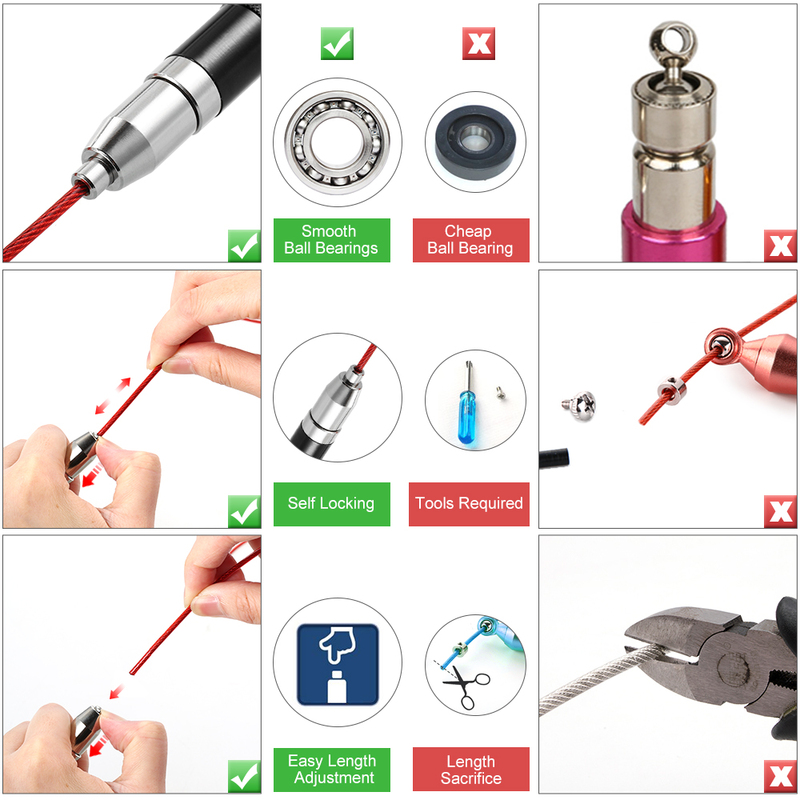 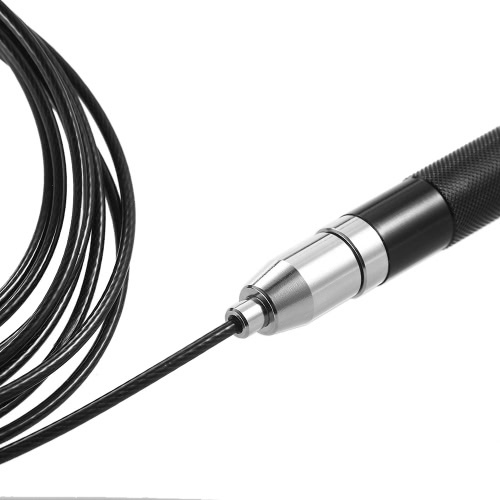 The built-in ball bearing makes the rope rotate smoothly and fast. 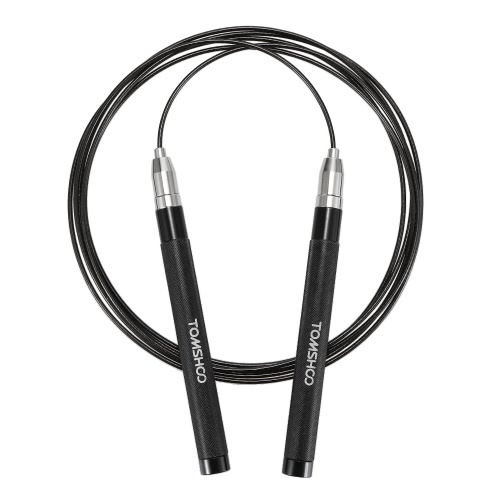 This rope also features aluminum alloy nonslip handles for firm grip and durability. 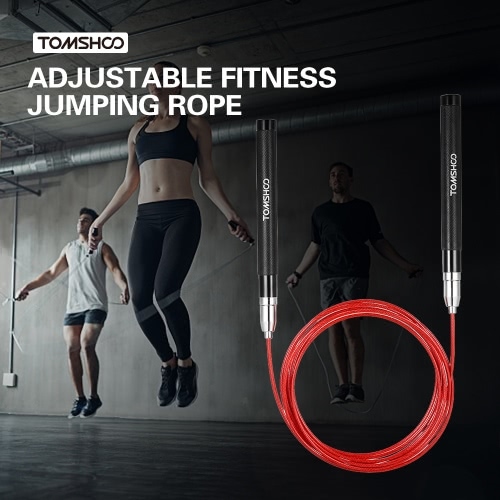 It comes with a bonus replacement and storage sack, perfect for home fitness, cardio training, jumping exercises, boxing, body building, basic exercises. 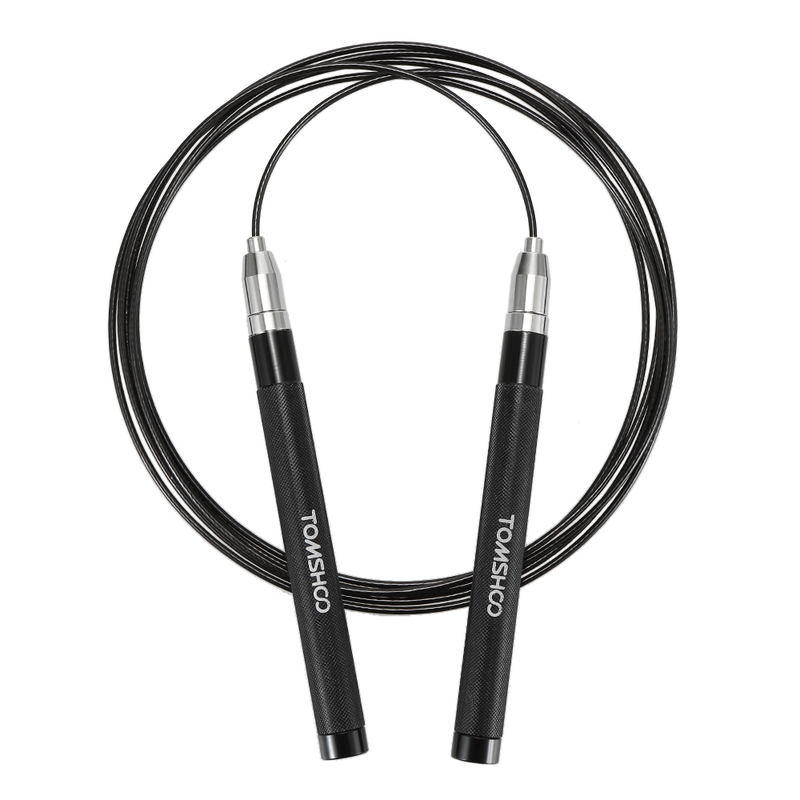 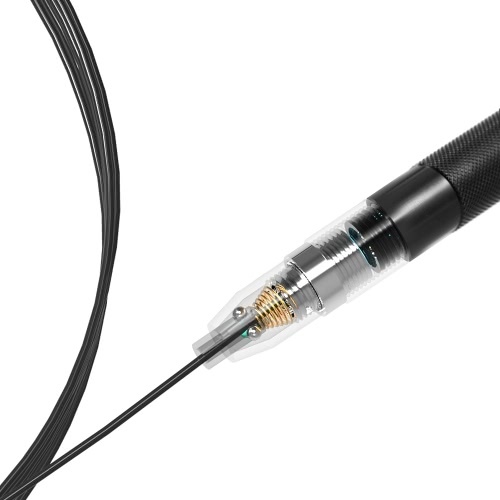 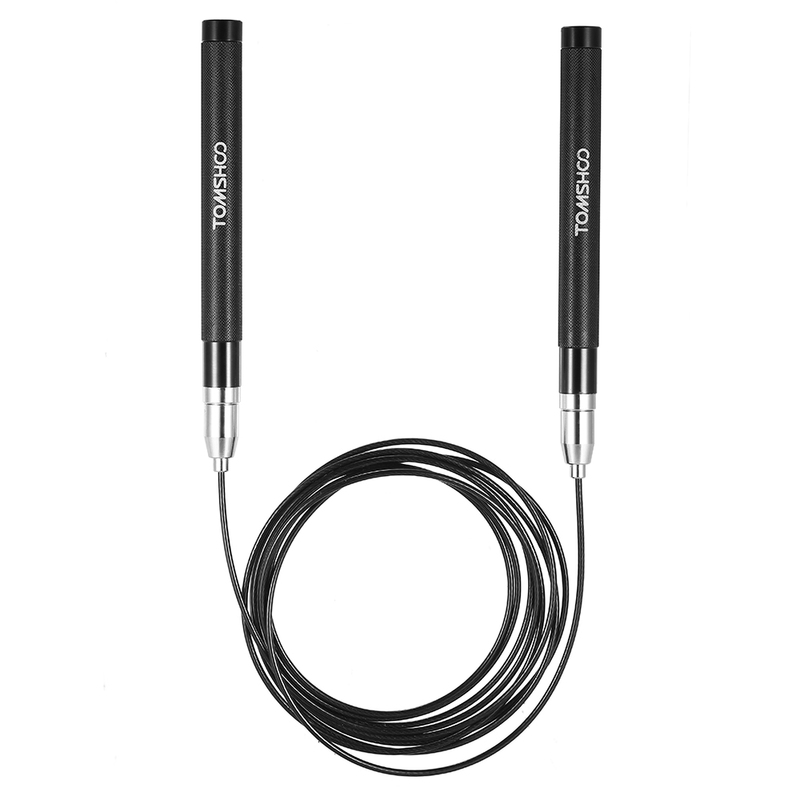 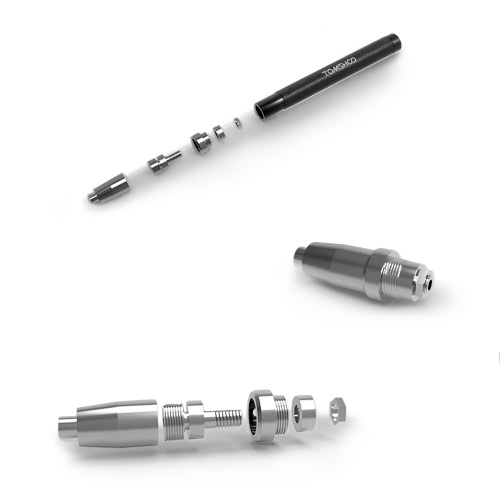 Durable & Lightweight: Premium steel wire with PVC sleeve can withstand heavy workouts. It is lightweight to keep you going for longer. 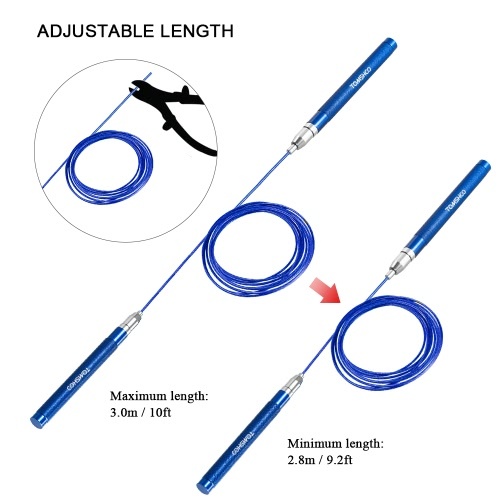 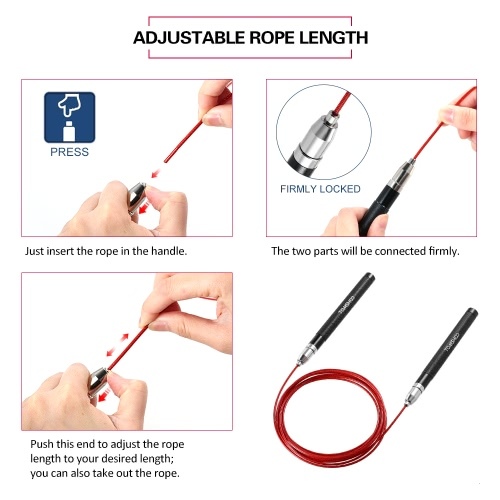 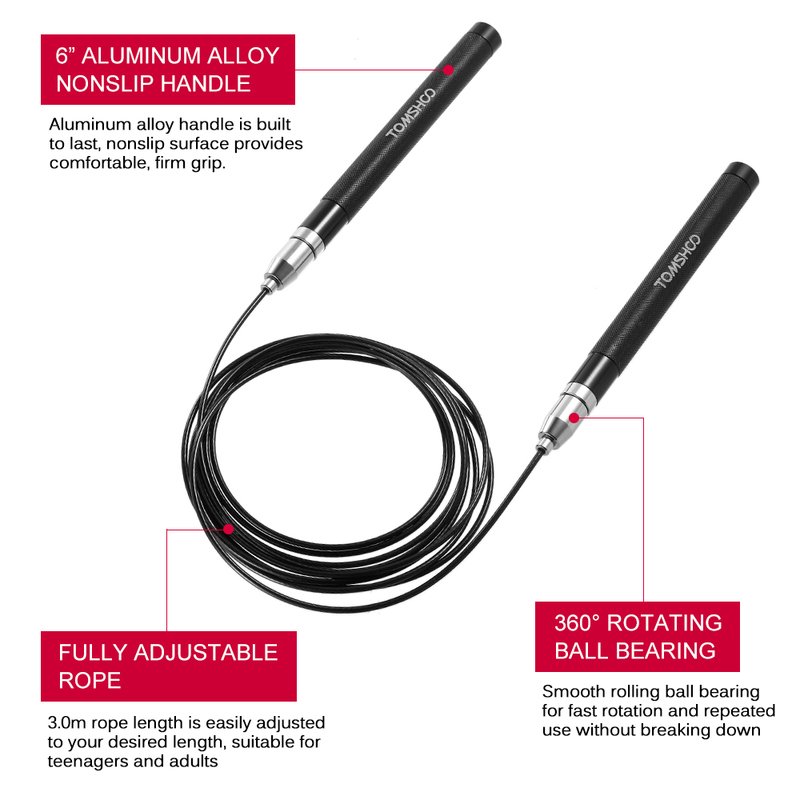 Fully Adjustable: 10-feet ropes can be easily adjusted to your desired length, suitable for men and women of all ages. 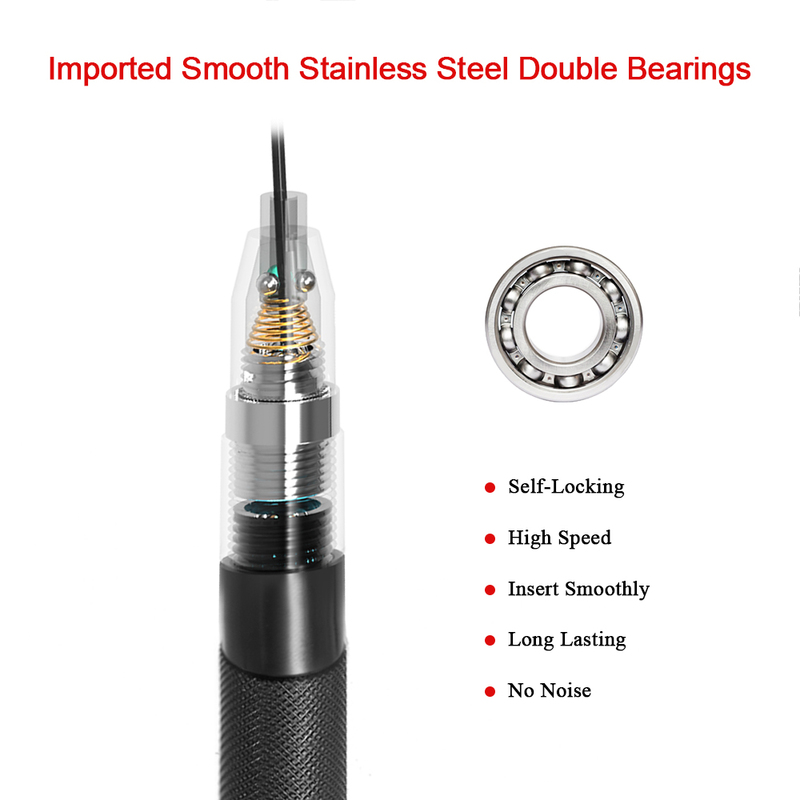 Smooth Fast Rotation: Aluminum alloy handle with built-in efficient ball-bearing system ensures smooth and fast spinning. 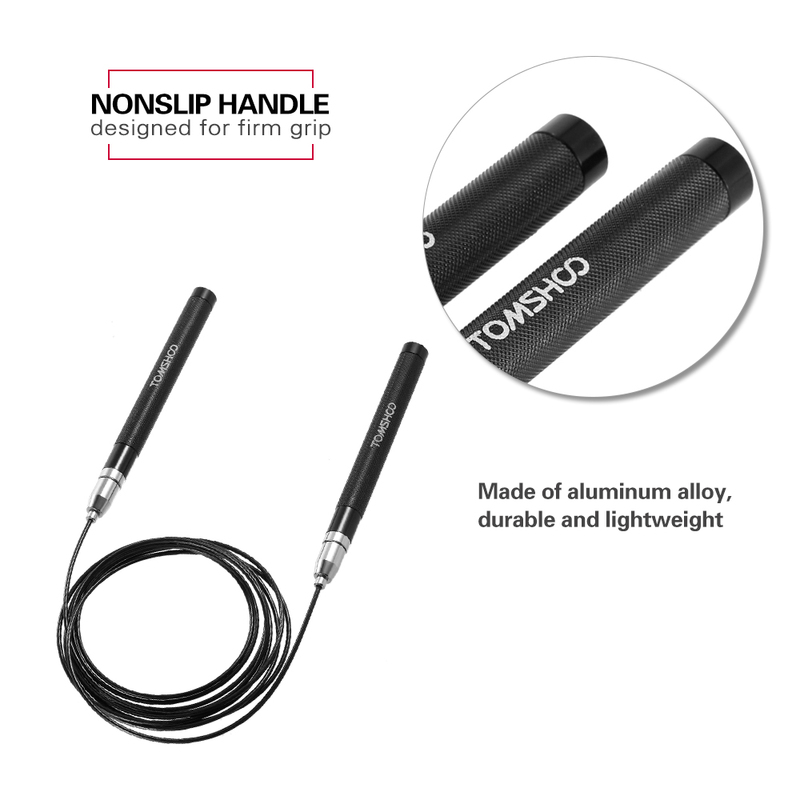 Nonslip Long Handle: 6.6 inch long handles with non-slip grips maximize control and help you keep a high momentum, perfect for anyone who wants to get in shape. 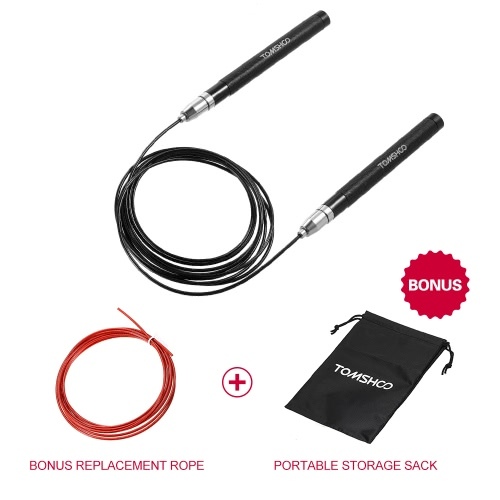 Bonus Gift: Comes with a free extra rope for replacement; a storage sack is also included to pack the rope well and go wherever you are. 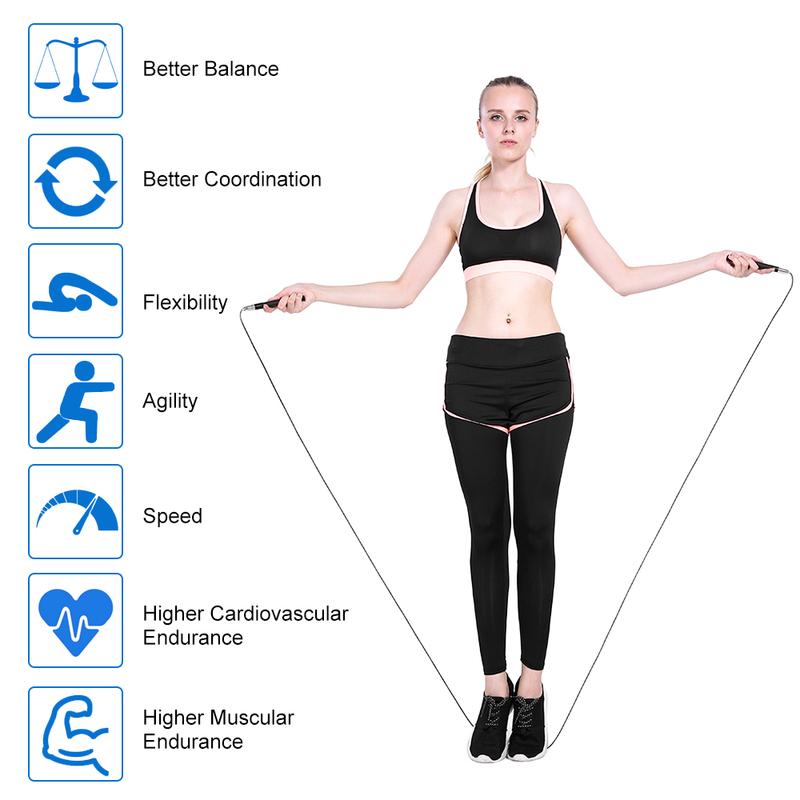 Perfect Choice: Good for home fitness, cardio training, jumping exercises, boxing, body building, basic exercises.